Psychologists call it "psychic numbing." Tell someone that tens of thousands of civilians have been killed in the Iraq conflict, or that thousands of U.S. veterans of our Mideast wars suffer from crippling PTSD, and their eyes will likely glaze over. Most people simply cannot comprehend the meaning of such vast numbers, nor are they likely to show any particular concern. Conversely, however, the tale of a single tragic incident can create great empathy in the same person--and greater understanding of the wider effects of war. the van and kills several more people, wounding two small children in the process. only to provide an end coda for the media. 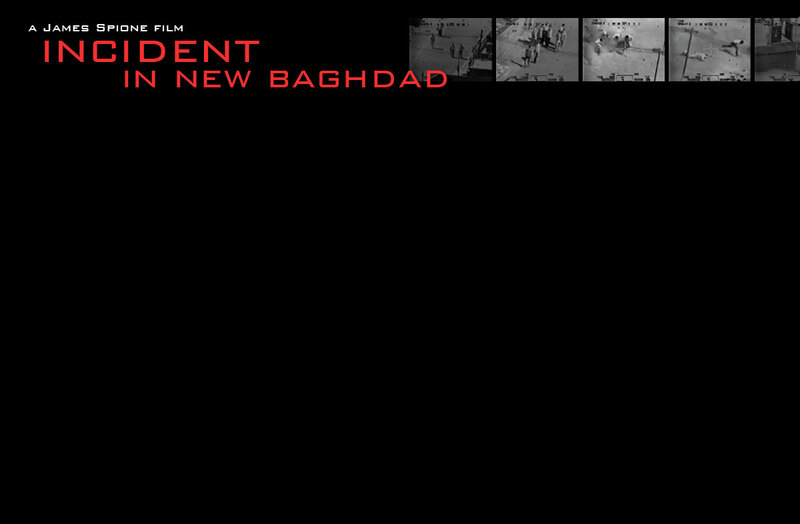 Nonetheless, the events on the morning of July 12, 2007 potentially offer an unusually detailed window into the conduct and resulting consequences of the Iraq War: the confusing atmosphere in which split-second decisions are made by American forces; the extraordinary hazards faced by ordinary Iraqis trying to maintain some sense of normality to their lives in a city wracked by violence; the long-term effects on soldiers' psyches of taking part in the killing; the crushing loss and white-hot rage of families whose loved ones were caught in the cross-fire; and the physical and emotional scars of young children who have never known a world without warfare and bloodshed, terror and loss. However, there is so much more to the story, and I am now developing a more in-depth, feature-length examination of this incident that will include the perspectives of many more people involved in this incident: the infantry on the ground; the families of both Noor-Eldeen and Chmagh; the children, whose father was killed in front of them in the van, as well as their mother; and if possible, the 1-8 Cavalry Airborne gunner who pulled the trigger. My hope is that, by hearing from all of the first-hand participants of this tragic event, we may come to better understand the profoundly damaging consequences that ripple out through the lives of survivors over many years from just one so-called "engagement" in a war. And when we learn from all involved that this incident was not an aberration, but a commonplace occurrence over the course of many years, perhaps then we will start to understand those mind-numbing statistics, and feel the true moral scale of the damage, the wounds, the folly of a war of choice that never needed to happen.